Indian fast-moving consumer goods major ITC has announced that it is piloting its e-commerce venture, itcstore.in, in Delhi-NCR, Mumbai, Chennai, Kolkata, Hyderabad and Bengaluru, The Economic Times reported. Company executive director B Sumant said that the portal will sell both food and non-food FMCG products from its label, starting initially with its gourmet chocolate line, Fabelle. The online store will complement the business’s sale through other online channels and marketplaces such as Flipkart, Grofers and BigBasket. The company has also launched an e-store and app for its line of stationary products Classmate notebooks and other merchandise in Bengaluru, Chennai and Kolkata. It will also tie up with third party logistics players to deliver orders generated through the online store. The logistics partners will pick the order from distributors to complete the order, the report added. The products to be retailed online include premium skincare range Dermafique, Sunbean Gourmet Coffee, blended atta under Aashirvaad brand and other niche products such as ghee, Riceland protein biscuits. It will also retail health food and a yet-to-launch line of products targeted at diabetics and those with metabolic disorders, such as millets, ragi flour and others. “ITC plans to sell premium and niche FMCG products to discerning customers through the e-store. Based on the success in major metros, we may scale it up later to other cities,” said Sumant, executive director at ITC. The company generates Rs 1 lakh in revenue through the sales of its FMCG products, including packaged food, personal care and stationary. The non-cigarette FMCG revenue of the company stood at Rs 11,328 for the financial year 2017-18. 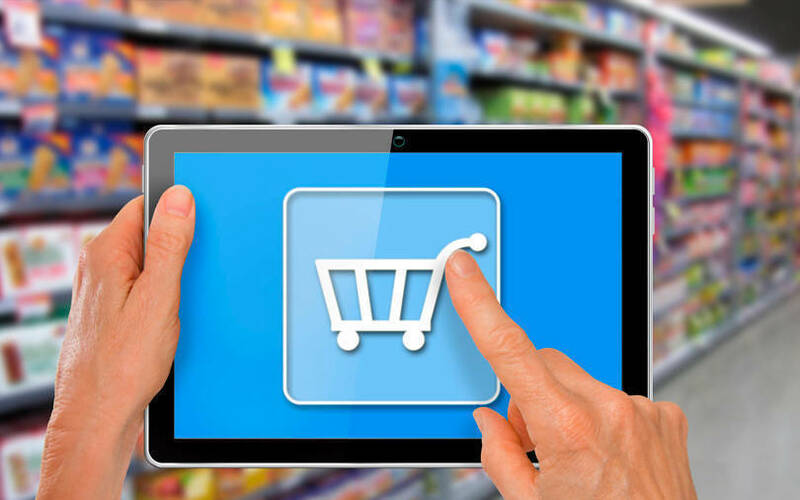 Companies like Tata Group-owned Trent Hypermarket had attempted an omni-channel play with the soft-launch of is online grocery app StarQuik in 2017 and Reliance has been mulling entering the online space with its offerings across retail and FMCG. The online venture of these FMCG businesses will compete directly with Alibaba-backed BigBasket as well as Prime Now and Supermart, the grocery verticals of Amazon and Flipkart, respectively.